Home » Blog » I Got Left Behind! What Is Cloud Computing, Really? While billions of users are taking advantage of cloud computing solutions around the world, some people are still new to it. If you’re still wondering “what is cloud computing”, you might not feel comfortable asking your more tech-savvy colleagues. For more on what it is, how it works, and how it can help your business, you’ll need to do research. Read on for more info on what you’re missing out on with cloud computing. One of the best things about cloud storage is that it’s cheap. To buy, maintain, and secure hard drives and servers costs a lot of money. It requires a whole mess of hardware and software components to get your storage up and running and then a lot of resources to maintain it all. You’ll be using a lot of electricity to keep things running, a lot of space to store things, and a lot of human resources to keep them up and running. It’s also way more convenient than storing things on your own. When you have data or applications that you want to use, you usually need access to a specific machine in a static location. However, with the cloud, you can access whatever you want over a WiFi or a mobile cellular connection, getting any data in the world in seconds. You can also scale things up and down as needed. With cloud services, you often only pay for what you use. The storage, computing power, and the number of applications you need can all be purchased a la carte, meaning you monitor your usage. At any point when you need to grow or if you’re paying too much, you can switch things up. Because businesses can change in an instant, it’s much easier to change how much you’re getting in services than to sell off large bulky equipment. Current estimates put the cost of a data breach at around $4 million. There are no business plans in the world that can easily weather a $4 million hit without some serious discomfort. However, all of this can be mitigated with strong cybersecurity measures. Companies can lose money and customers due to a damaged reputation. Current customers can fly the coop when they see that you’ve been hit with a data breach that threatens their information. Some companies can even face lawsuits or fines if they’ve been breached in an industry where they have to keep track of their data carefully. The cloud is a way to safeguard against breaches. There are always risks to using the cloud and that’s why you should always store valuable information on a private cloud server. You need to be ensured there are strong security protocols in place to protect your data from being accessed. Many cloud storage providers give you access to software or an interface that helps you avoid risk. Their software will encrypt data on the way to the cloud and encrypt anything on its way down to you. That way any personal information, financial data, or your customers’ information can be protected against hacks. For more on how cybersecurity works on the cloud, check out what https://www.charlotteitsolutions.com/ offers. For decades, information stored on computers was difficult to move. While it was easy to write and keep data on a machine, getting data off meant writing small bits of it on smaller disks and moving it piece by piece. It took years for us to develop mobile technology that could send data quickly and efficiently. When mobile devices hit the scene in the 90s, they didn’t have any processing power. They could store much information, so there needed to be a place for text messages and phone messages to live. When phones started to have the capability to access more data wirelessly and keep some if it, it meant that we needed even more capacity. At this point, the cloud became the answer. By having data stored via a network of locally accessible data points, you could get information that originated in China in a matter of seconds. It would be stored on servers in every continent to keep data moving to devices quicker. Once Amazon started AWS in 2006, they started to offer computing power and database storage that rivaled the biggest companies in tech. Suddenly Amazon Web Services made it easy to keep developer tools and information accessible to people around the globe. People could work remotely from a beach in a far off country and meet deadlines in New York City if they needed to. While we’re just into the teen years of the modern cloud, there’s infinite growth ahead of us. 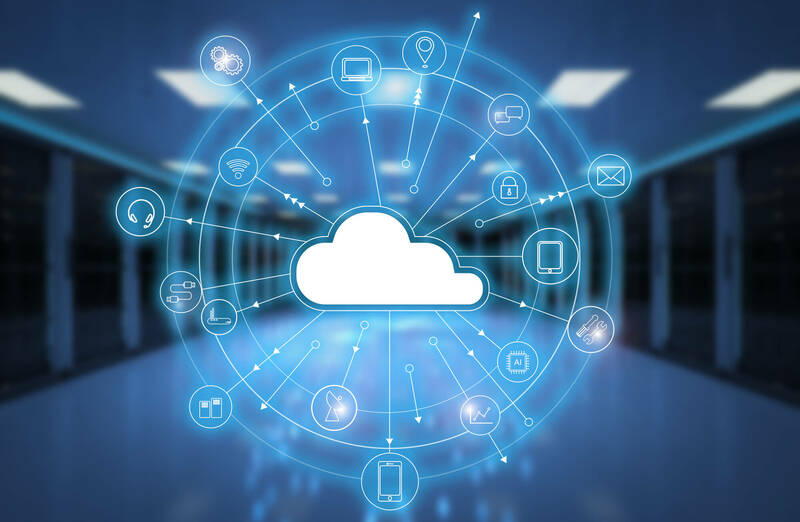 As cloud usage continues to grow for big businesses, small businesses are starting off with their data parked in the cloud so they’re ready to compete. With more money being allotted to cloud services for public and private data solutions, work is being done between cloud servers. The cloud is no longer just a place for storing information. You can use an application that lives on the cloud, store the results on the cloud, or plug them into another cloud application. The sky’s the limit! As more of our everyday devices become networked, there’s more data for them to collect and send off into the cloud. When that data is used, there’s potential for growth for businesses, new marketing opportunities, and the potential to control appliances remotely. While you’re sitting around wondering “What is cloud computing” you might be doing it with your email or social media accounts. There could be ways that you’re storing images or data on the internet that you didn’t realize were built on cloud-based principles. For more about hosting your own data on a cloud server, check out our latest guide.